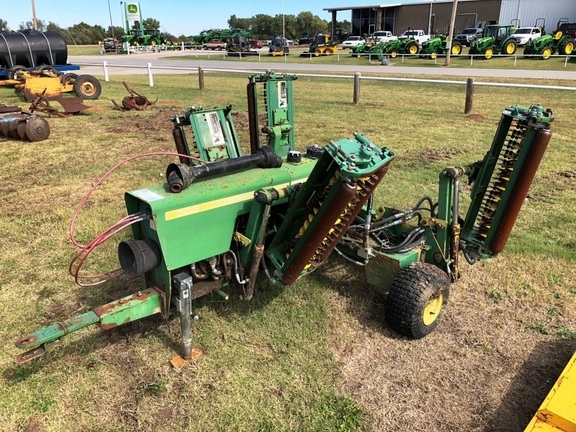 1990 John Deere 305 vertical cut aeration mower. Folding wings. PTO drive. Hydraulic pump motor is getting weak, but machine will run. Sold as-is.